Registrations are open for ‘Overload 2018’ a two day intensive training camp for Junior Canoe Polo players being held in Mullingar Harbour on 1st and 2nd September, 2018. Experienced and beginner players between 9 and 18 are welcome. The weekend promises to be a packed with learning, polo skills development, game play and a lot of fun. The Harbour in Mullingar is an enclosed area with onsite camping and facilities, so the perfect location for this two-day Canoe Polo getaway. The event builds on the development days for existing Junior players that we ran over the summer. We will also be welcoming new players from Mullingar’s budding Junior team who are making great progress already. The Irish U21 Men win their first match of this years World Championships after another fight back. The Chinese went 2 nil up in the first few minutes after a few handling errors by the Irish. It took a well worked move and a strong shot from the Irish captain Oisin McKay to get a goal back. The Chinese were looking to move the ball fast up the pitch after a break down in Irish play and forced a penalty which was converted to put them two goals ahead. Before half time the Irish returned with a break away goal themselves working the ball through a disrupted defence and Caleb Bowden drove down the right side and skipped past a couple of defenders before burying the ball from a tight angle. There was quite a wait at half time as one of the goals needed a repair and this gave the Irish a good oppertunity to regroup for the second half and it was the Irish that were putting on the pressure to start, a well put together move where the play was quickly switch from the right over to Kevin Quinn on left who fended of the Chinese zone to score the equaliser. The Chinese were awarded their second penalty after they broke away, there was deemed to be a paddle foul and and the Irish were down by 1 with 3 to minutes to play. But the Irish showed that never give up attitude and with the Chinese reduced down to 4 men after a series of paddle fouls Oisin found space down the right to bang in his second goal of the game and tie the score up for the second time in the game. With the Chinese still short a man the lads pushed man on and stripped the Chinese and Kevin Quinn broke free to score the winner. Well done lads and congrats on your first ever World Championships Win. Enjoy it and push on with the last two games of the tournament and get a couple more under your belt. Pitch one against the home nation Canada at 3.55pm Irish time. As part of our plan to develop Canoe Polo, increase visibility of our sport, and improve communication, we’ve revamped the CanoePolo.ie website. The goals of the redesign are firstly, to showcase our sport, explain it to potential new players, volunteers and sponsors. Secondly to serve as a source of information on events, programmes and other resources for polo players in Ireland. Development – details of our National Junior Development programme, and information on Clubs that play Canoe Polo. Squads – information on our International Team Ireland Squads. Refereeing – Game Rules and details of how to get graded as a qualified referee. The content in this section will build over time. About – Information about the game in Ireland, and the National Polo Committee, part of Canoeing Ireland. Calendar – contains an overview of all events (competitions, squads, development) that Irish players are participating in nationally and internationally. 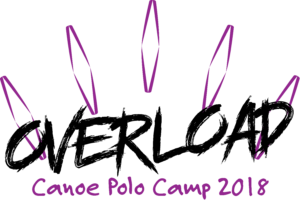 Signup for Updates – enter your email in order to be kept up to date on Canoe Polo Ireland events and updates. You will receive a confirmation email and can unsubscribe at any time. 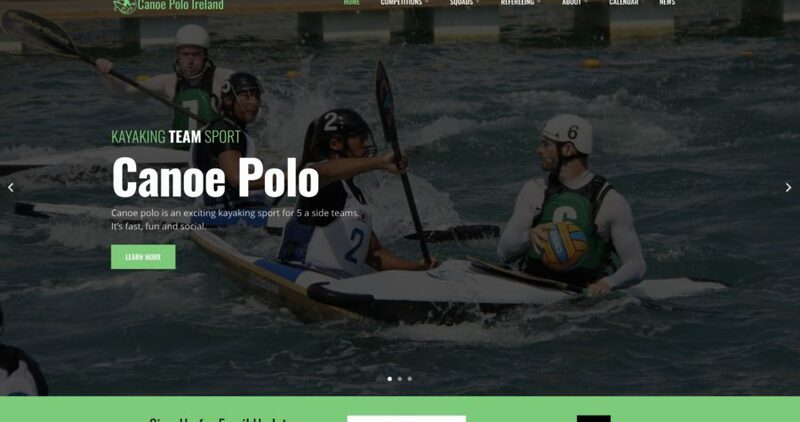 Hope you find the site a big improvement – this is an important part of our efforts to develop Canoe Polo in Ireland and attract new players and partners to our sport. If you have feedback on the site please email sec@canoepolo.ie.